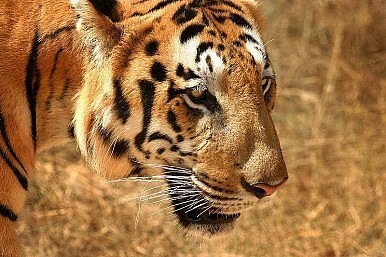 Burma: Asia’s Next Tiger Economy? Burma is at a crossroads, politically and economically. Will it become Asia’s new economic tiger or remain isolated from the global economy? All eyes are on Burma’s elections on April 1, a test of its commitment to democratic reform. The quicker the government can reform, the quicker the U.S. and EU sanctions might ease and the quicker its growth will accelerate. The unleashing of Burma’s economy could boost regional growth and intra-ASEAN trade and investment. As it is, Burma’s GDP growth rate is projected to average around 6 per cent per year until 2020, with GDP doubling to $124 billion by 2020, according to IHS Global Insight forecasts. The domestic consumer market is expected to grow rapidly, creating a fast-growing market for exports of goods and services from other ASEAN countries. Burma’s population is, after all, the fourth largest in ASEAN, at around 50 million people. But the pace of Burma’s economic growth could be even faster if driven by more rapid economic reforms. A key risk to this more rapid growth would be rising inflationary pressures, as rapid growth and investment creates supply bottlenecks and wage pressures. Inflation is already estimated to have averaged around 9 percent in 2011, and is forecast to average around 10 percent in 2012. Burma, like other ASEAN countries, has agreed to the tariff liberalization timetable under the ASEAN Free Trade Area agreement. From an economic perspective, Burma’s economic reforms and tariff liberalization will be important to ASEAN’s objective to create a single market for trade in goods by 2015. Still, there are several important steps ahead for Burma. A key macroeconomic reform will be the planned implementation of a unified exchange rate from April 1, as Burma moves to a managed float that will help to reduce market distortions and boost export competitiveness. Burma’s draft investment bill could accelerate investment, with provisions for a five-year tax holiday for foreign investors, 100 percent profit repatriation allowances, and government guarantees against nationalization.Other key features include foreigners having the right to lease land; foreigners no longer needing a local partner to set up businesses; and joint ventures could be set up with at least 35 percent foreign capital participation. Unskilled labour employed by foreign companies would have to be 100 percent local, while domestic skilled workers would have to make up at least 25 percent of a firm’s operations after the first 5 years, 50 percent after 10 years, and 75 percent after 15 years. With Burma opening to the outside world, the opportunities for investors and its people are vast. The challenges may be equally daunting.